Rizal Commercial Banking Corporation (RCBC) has foreclosed the entire Globe Asiatique (GA) Sky Suites condominium, according to a notice to the public that recently appeared in several major newspapers. 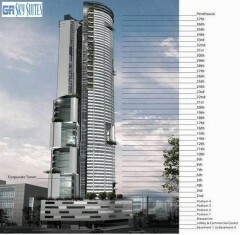 The GA Sky Suites condominium is located at the corner of EDSA and Quezon Avenue in Quezon City. In the public notice, RCBC announced that they acquired the property through a “public auction arising from RCBC’s extrajudicial foreclosure of the pertinent mortgages” that included the GA Sky Suites, among a number of properties. It was easy to foresee that Globe Asiatique would face difficulties arising from their controversial Xevera housing project in Pampanga, portions of which were also foreclosed by RCBC. But who would have thought it was already so bad that it would come to a point where other projects like the GA Sky Suites had to be foreclosed by their creditor, which is RCBC in this case?! I can’t help but wonder if Globe Asiatique could have prevented the foreclosure of the GA Sky Suites had their initial public offering pushed through, that is assuming people would still buy shares inspite of the allegedly anomalous Xevera housing project. According to an article in Manila Standard, RCBC had lent a total of Php2.8 Billion to Globe Asiatique. Coincidentally, Globe Asiatique’s IPO could have raised Php3.3 Billion, but was postponed last September. Could the money they could have raised been used to bail them out? I guess we’ll never know. What happens to existing buyers of GA Sky Suites? The GA Sky Suites is not yet ready for turn over to buyers and unit owners, and it seems construction has stopped at the moment. 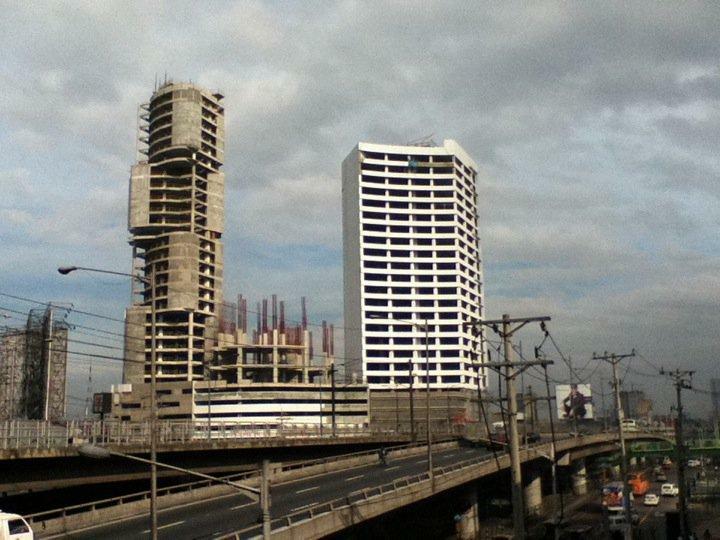 So what happens to the buyers and unit owners and the condominium units they have purchased that are not yet finished? 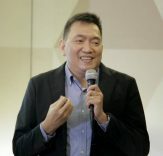 According to the public notice, “RCBC would like to assure the existing buyers that it will be communicating with them directly to address their concerns”. Based on what I read in GA Sky Suites forum posts in skyscrapercity.com and pinoyexchange.com, RCBC appears to be doing just that, and they are informing buyers that they are taking over from Globe Asiatique. 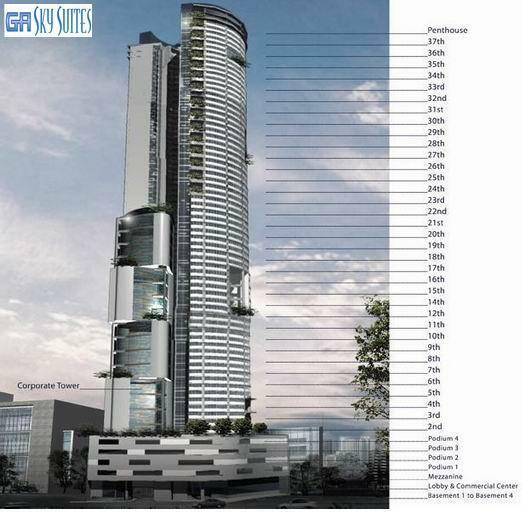 Furthermore, latest updates about GA Sky Suites in the same forum in skyscrapercity.com also mentioned that RCBC will continue with the project and construction will resume by the first quarter of 2011. I just hope that this is true and all goes according to schedule, for the sake of the buyers and unit owners. PS. New visitor? Click here to get started with learning more about foreclosure investing in the Philippines.